Kefalonia is the largest island in the Ionian Sea and therefore there are various ways to travel there. If you prefer travelling by plane, the flight from Athens lasts just 45 minutes, whereas in the summer months the island is connected to major airports overseas. Kefalonia airport is located 8 km away from Argostoli and shuttle buses run from there to the capital. Taxis or rented cars are also available. If you are travelling from overseas, airlines such as Thomas Cook, Thomson, easyjet and Ryanair have chartered flights from London, Manchester, Birmingham, Newcastle and Cardiff to Kefalonia during the summer. There are also flights from Austria, the USA, Canada and Australia. Alternatively, you could combine flights or travel to Eleftherios Venizelos airport in Athens where there are frequent flights all year round. During the summer there might be flights from other Greek islands, such as Corfu. If you fly to Athens, there are daily bus routes(KTEL)from Athens to the cities of Patras and Killini which are connected to the island by ferries. The journey to Patras takes 2.5 hours whereas to Killini it takes 3.5 hours. For those of you who prefer travelling by ship, there are departures from the ports of Killini, Patras, Astakos, Ithaca, Zakynthos (Schinari) and Lefkada. There are no ferries departing from Piraeus port. From Killini there are ferries to Poros (1.5 hours), Lixouri (2.5 hours) and Argostoli (4 hours). 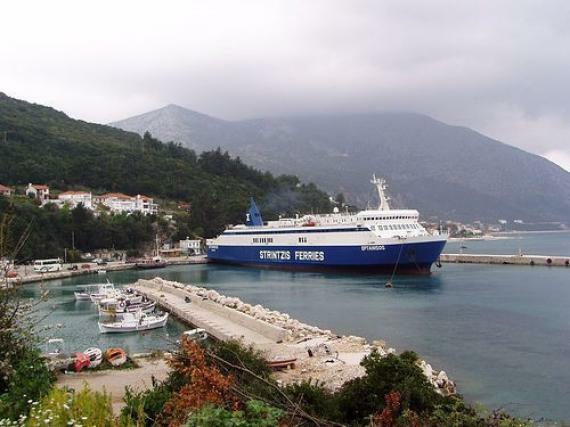 Ferries departing from Astakos, Ithaca and Patras arrive in the port of Sami. Whatever is your preferable means of transport, there are available options to travel to the beautiful and cosmopolitan island of Kefalonia. Choose the way that suits you best and travel to Kefalonia for unforgettable holidays!